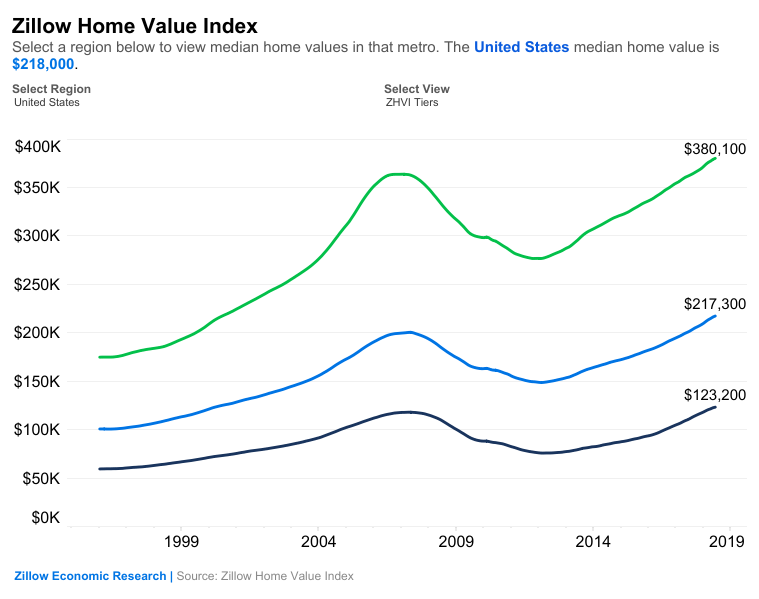 Median home values increased 8 percent year-over-year, to $218,000 in July, but in 20 of the 35 largest markets growth slowed modestly, according to a market analysis by Zillow released Thursday. The slowdown was most prevalent in Seattle, Tampa, Sacramento, Calif., and Portland, Ore, the four hottest markets over the past year. In Seattle, home-value growth declined from 14.8 percent in June 2017 to 9.1 percent this July. In Tampa, home-value growth slowed to 10.6 percent, while in Sacramento, and Portland, it clocked in at 5.7 percent. 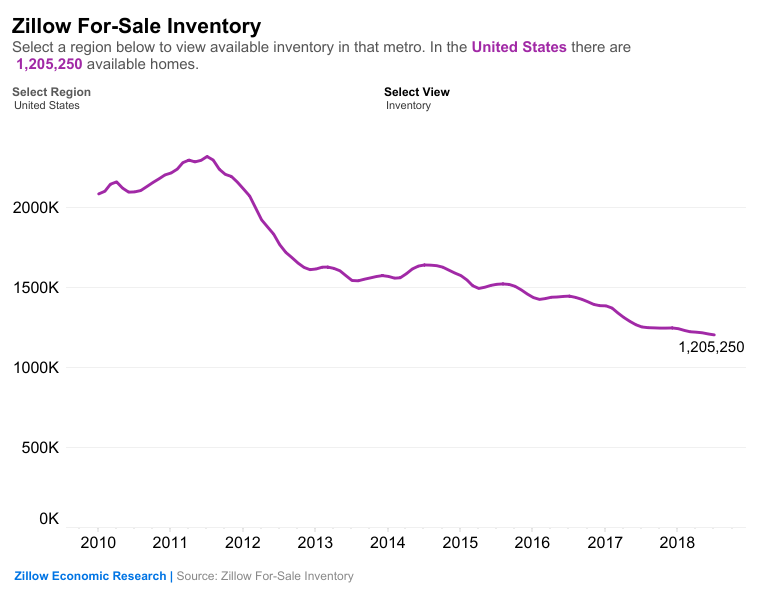 Zillow says the slowdown is due to a slight uptick in inventory in 19 of the 35 largest markets, with the largest inventory gains happening in some of the most expensive markets, such as Seattle (+13.2%), San Jose (+46.2%), and San Diego (+36.3%). Nationwide, inventory remains low at 3.9 percent year-over-year, and Zillow this week projected it will be at least two years before the market favors buyers. Like the for-sale market, the rental market experienced slower rent growth compared to last year. In July, median rent grew 0.5 percent year-over-year to $1,440 per month, a 1.1 percent decrease from 2017. Seattle (-5%), Portland (-0.7%), and Kansas City (-1%) had the largest declines on an annualized basis. Meanwhile, the median rent in Riverside, Calif. increased 4.6 percent year-over-year to $1,898 — the biggest increase among the 35 largest markets included in the analysis. Sacramento and Las Vegas trailed closely behind with increases of 4.4 percent and 3.2 percent, respectively.